Get ready for a fabulous bingo adventure at Gossip Bingo! 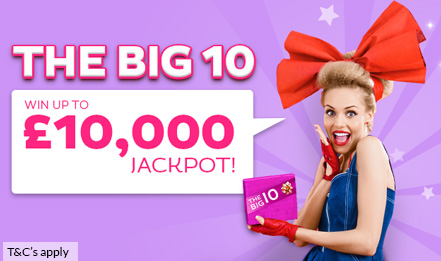 We have heaps of fun bingo games to play with amazing jackpots to win! Take your pick from the popular 75 and 90 ball bingo games, MEGA jackpots, Live Bingo, guaranteed jackpots, and much more! Plus, there is a multitude of terrific bingo promotions on offer to guarantee you have the best online bingo experience ever! 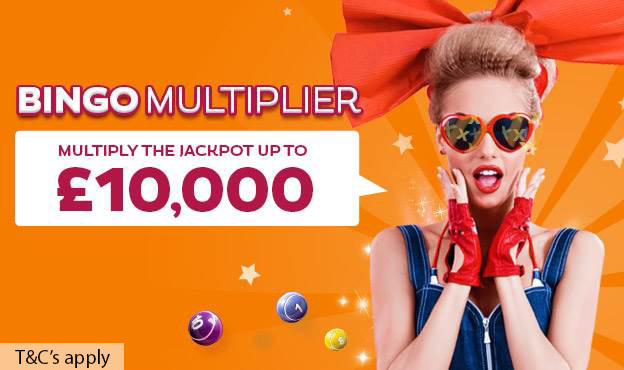 Win up to £10,000 every week in Bingo Multiplier – Gossip Bingo's Mega Jackpot! They just keep getting larger and larger! 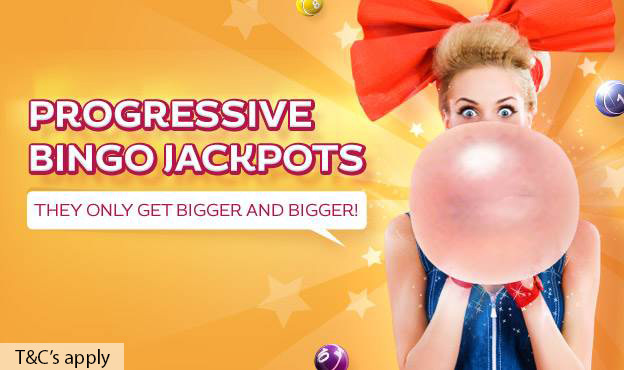 Win our massive Progressive Bingo Jackpots today! Win up to £10,000 EVERY month, with £2,000 GUARANTEED! Game plays last Friday of the month! Feels good to be a Millionaire! 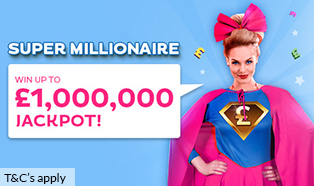 Win up to £1,000,000 monthly! There are several bingo variations to choose from including the popular British or 90 ball bingo and the American 75 ball bingo version. Which games you like more is a personal preference although the two games differ in speed and challenge. There is also only one winning pattern in 75 ball bingo, while 90 ball bingo games have three. At Gossip Bingo, there are many rooms in which to play your favourite games. 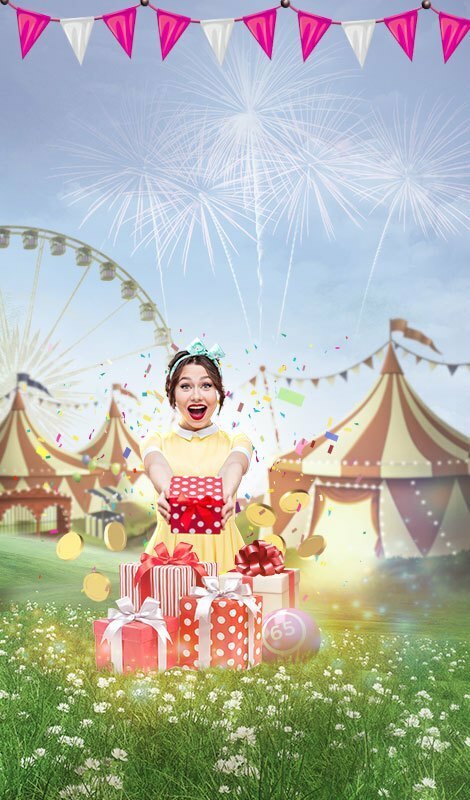 There are huge jackpots to win and loads of fun to be had! Play the Daily Thousand for a chance to win up to £1,000 every single day! Make sure not to miss out on our monthly bingo games like Super Millionaire with the jackpot reaching a MEGA £1,000,000! Not only is online bingo fun but it's easy to win! Just grab your tickets, sit back, and see what you've won! There are also many ways to boost your winnings when playing online bingo games. Join the bingo chats and play the chat games for extra prizes and freebies. You can also enjoy bingo side games during your bingo games session to earn even more cash and maximize your wins! Need to leave the house? You don't need to miss out on any of the fun when you play mobile bingo games at Gossip! All you need is a smartphone or tablet to enjoy the best bingo games online. You can play on the mobile site or on the Gossip Bingo app for iOS! Never miss a win when you play on the go! At Gossip Bingo, you can have a blast playing without spending a penny! There are loads of free bingo games to play in our 4 amazing bingo rooms! 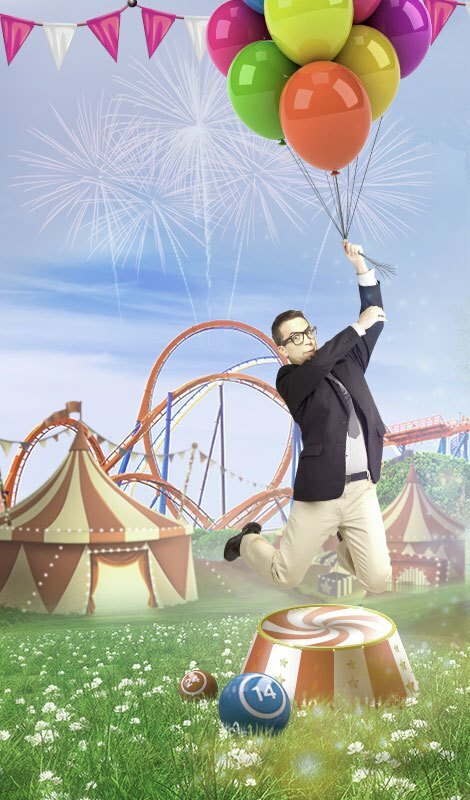 You can play every day for fabulous chances to win! We give away a whopping £900 every day in our freebie bingo rooms!